LONDON (Reuters) - Strong demand for AstraZeneca's new drugs -- especially those for cancer -- drove a return to sales growth in the third quarter and the drugmaker said it anticipated years of sustained improvement and rising profit margins. Product sales in the three months rose 8 percent, or 9 percent in constant currencies, which is the benchmark AstraZeneca uses for measuring the return to growth that it has been promising for 2018. It is the first quarter of sustainable product sales growth since 2014 and shares in the group, which resisted a takeover bid by Pfizer in 2014, rose more than 5 percent to hit a record high of 61.85 pounds on Thursday. AstraZeneca has faced a massive loss of patents on older drugs since 2012, wiping out more than half of its sales, but a batch of 10 new medicines -- which grew 85 percent in the latest quarter -- now offer a path to accelerating growth. "When we set out our strategy a few years ago, not everybody believed we could transform AstraZeneca," said Chief Executive Pascal Soriot. "Today marks an important day for the future of AstraZeneca, with the performance in the quarter and year to date showing what we expect will be the start of a period of sustained growth for years to come." Soriot said he was "very committed" to growing operating margins as sales increased, and reiterated his confidence that annual revenue could top $40 billion by 2023. The drugmaker first gave a bullish long-term forecast for sales of $45 billion in 2023 when it was fighting off Pfizer, since when a stronger dollar has shifted the target to nearer $40 billion in today's money. "When we do our risk-adjusted sales forecast we still are on track to get there ... and it turns into a compound growth rate of about 12 to 13 percent a year between now and then," Soriot told analysts. AstraZeneca's wave of new medicines include Imfinzi and Tagrisso for lung cancer, Lynparza for ovarian cancer and Fasenra for severe asthma. Sales of Tagrisso, Imfinzi and Fasenra all beat analysts' forecasts, although Lynparza missed marginally. 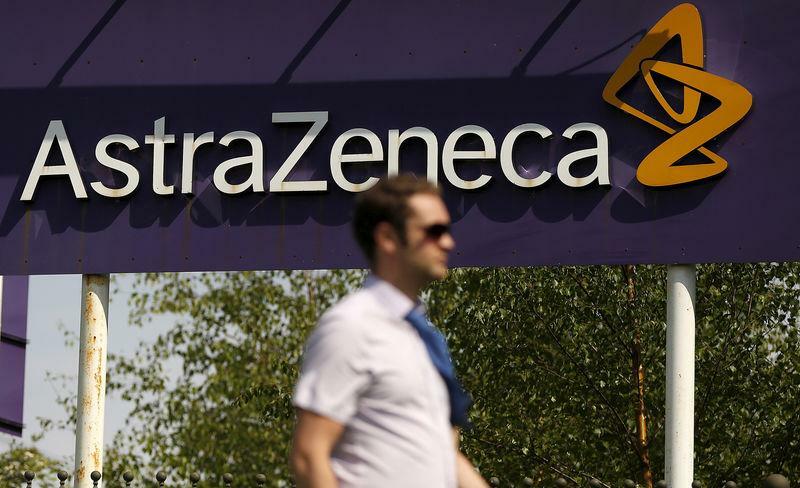 AstraZeneca also has high hopes for diabetes drug Farxiga, which cut heart risks in a major study. The full details of that trial will be unveiled at a medical meeting on Nov. 10. "The continued outperformance from the new product launches and core diabetes portfolio should be well received," said Liberum analyst Graham Doyle. China remains a stand-out market, with quarterly sales up 32 percent in the quarter, as AstraZeneca continued to outperform rivals in the world’s second biggest drugs market, where it is turning increasingly to smart tech to drive sales. Despite the good news on the product front, however, AstraZeneca is still transitioning to its new growth phase and total revenue and earnings both fell in the quarter, as analysts had expected. Overall revenue was down 14 percent in dollar terms to $5.34 billion and core earnings per share, which exclude some items, declined 37 percent to 71 cents, reflecting sharply lower income from divestments and investment behind new drug launches. Analysts, on average, had forecast earnings of 72 cents on revenue of $5.30 billion, Refinitiv data showed. For the full year, AstraZeneca reiterated its forecast of a low single-digit percentage increase in overall product sales in constant currencies and core earnings per share of $3.30 to $3.50. Is digitisation the need of the hour? Hyundai Venue Vs Hyundai Creta — The New Takes On The Proven! What Is an NRO Account?